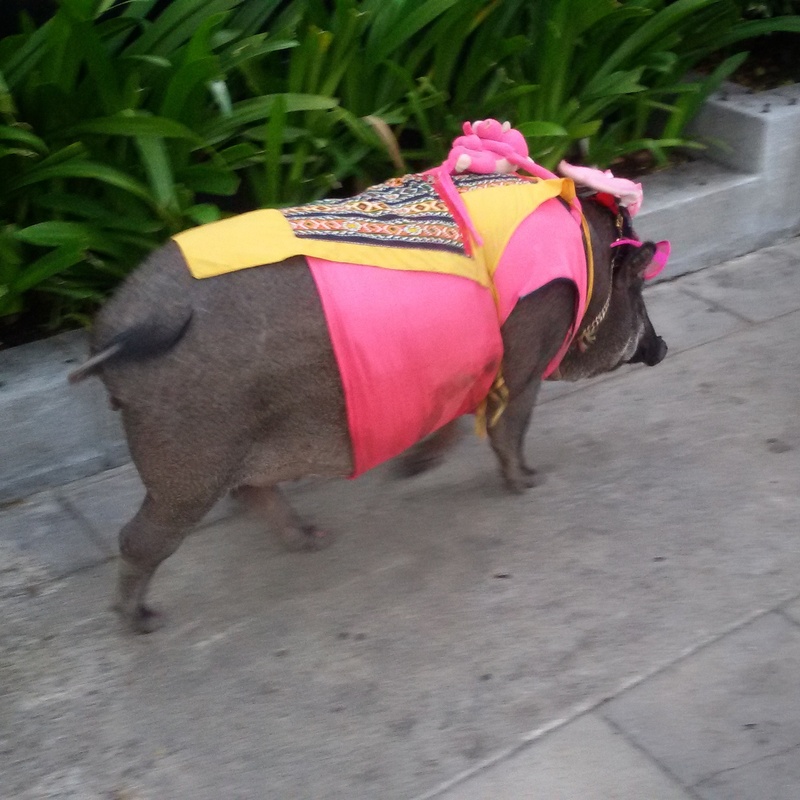 One of the things I love about life in Thailand is that I am endlessly entertained by the unusual sights over here. 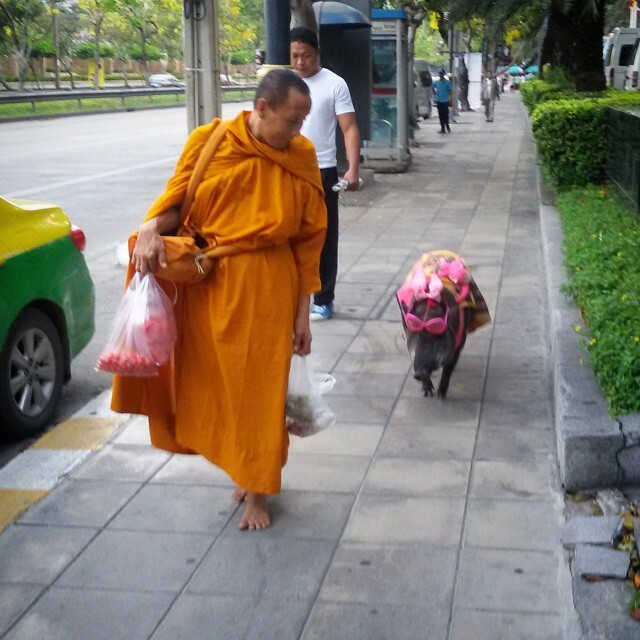 This was today’s unexpected sighting…..a monk walking along a road in central Bangkok with his obedient and well-dressed pig. Absolutely made my day. That is great – I love it!! Lol, I’ve lived here many years that’s the first time I’ve seen pig, haha quality. Haha it was a first for me too in 9 years in the country!